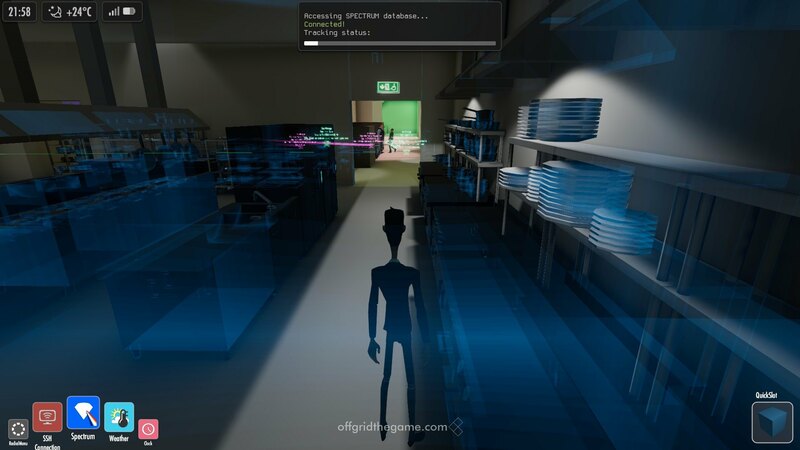 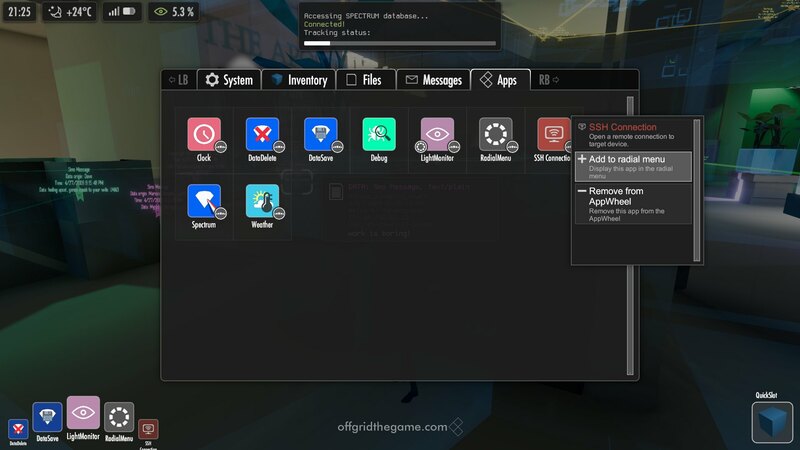 Off Grid is a stealth and hacking game where data is your most powerful weapon. 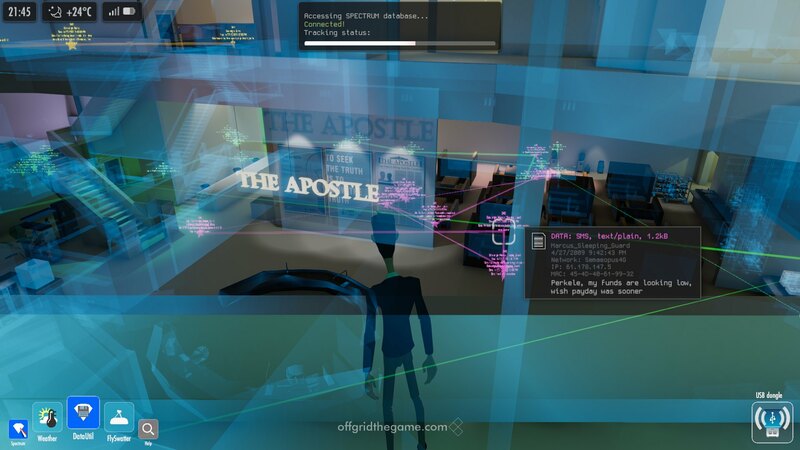 Off Grid forgoes combat for hacking tools and ingenuity, and is extensively moddable. 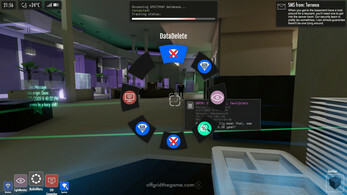 Unique gameplay mechanics allow you to manipulate the world and people around you with the data they unwittingly leave behind. 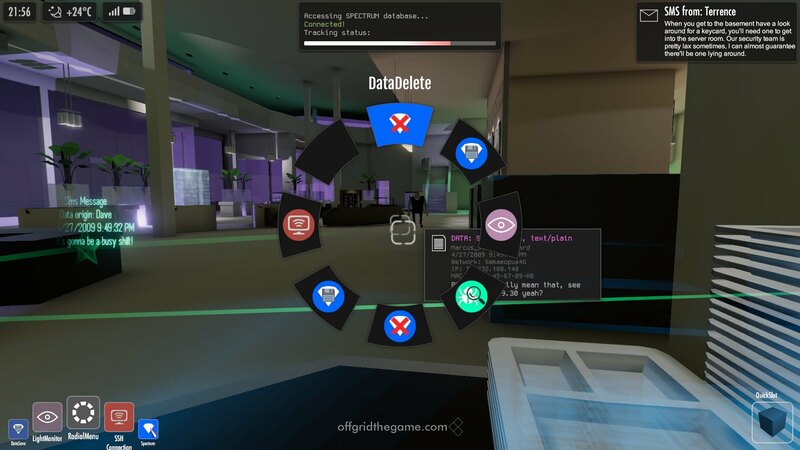 You can truly hack and manipulate objects in the environment. 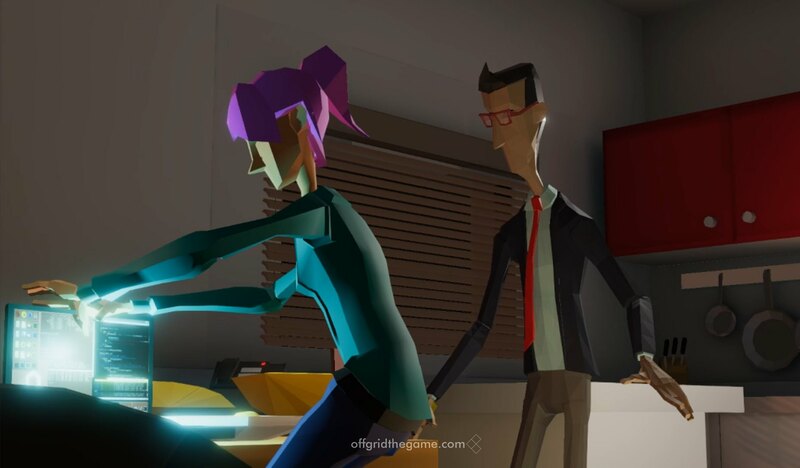 Off Grid will be available on PC, Mac and Linux. On Linux, make sure you have libSDL2 installed.